Cellulose Acetate is a natural plastic, which is manufactured from purified natural cellulose. Natural cellulose is derived primarily from two sources. The first, wood pulp, is processed using acetic anhydride to form acetate flakes from which products are made. The other source, cotton fibres, involves treating cotton with acetic acid, using sulfuric acid as a catalyst. Coming from natural sources, means that unlike most man-made fibres, it comes from a renewable resource and is biodegradable. 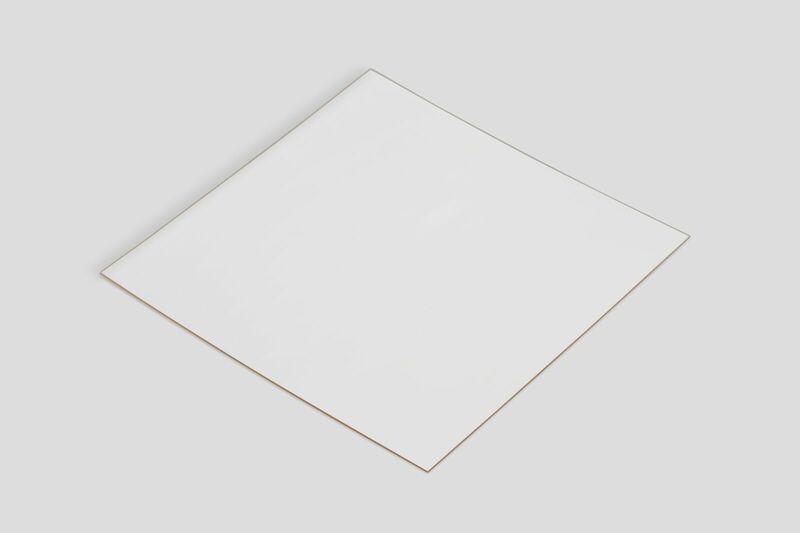 Cellulose Acetate is an amorphous, transparent, colourless, glossy and reasonably hard thermoplastic with good clarity but only moderate UV stability and chemical resistance. It can be transformed into a fibre, which is often blended with other materials and is used extensively in clothing, draperies, upholstery, diapers, and filters. Cellulose Acetate films have been widely used for graphic purposes and in photography since about 1940. It was introduced as a replacement for the highly flammable celluloid film. It also became the base for magnetic tape. The disadvantage with acetate film is that it deteriorates in the presence of oxygen, releasing acetic acid. This is known as the “vinegar syndrome.” For this reason, polyester film has become more commonplace since the 1980s. However, acetate film is still used in some applications, such as camera negative for motion pictures. * This product is part of the Green Production range.